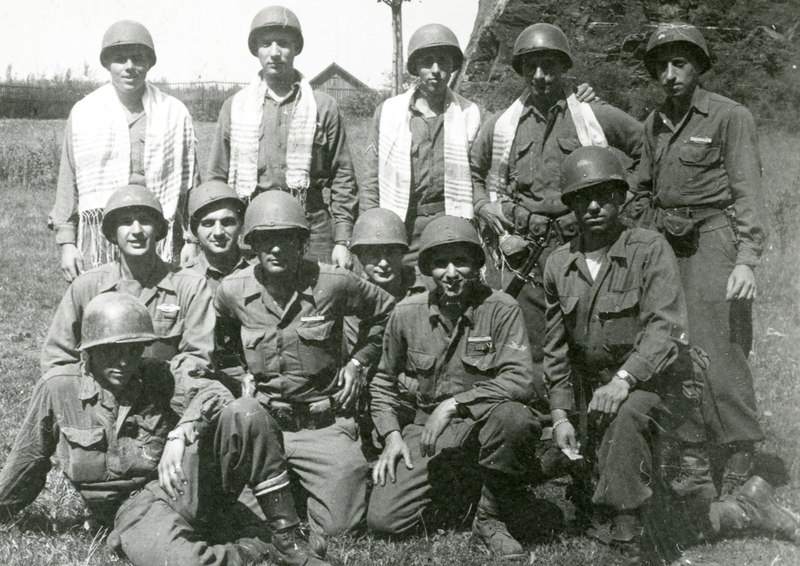 GI Jews: Jewish Americans in World War II tells the story of the 550,000 Jewish American men and women who fought in World War II. In their own words, veterans both famous (director Mel Brooks, former Secretary of State Henry Kissinger) and unknown share their war experiences: how they fought for their nation and people, struggled with anti-Semitism within their ranks, and emerged transformed. The screening of the film will be followed by a discussion with the film’s director, Lisa Ades, and Frederick G.L. Huetwell Professor of History Deborah Dash Moore. If you have a disability that requires an accommodation, contact the Judaic Studies office at judaicstuies@umich.edu or 734-763-9047. All of UMMA’s public areas and galleries are wheelchair accessible. Please enter through the Frankel Family Wing entrance, located at the front of the building on State Street. Wheelchairs are available, and can be used inside the building for free on a first-come, first-served basis. Please ask one of UMMA’s Security Officers for assistance borrowing a wheelchair upon arrival.